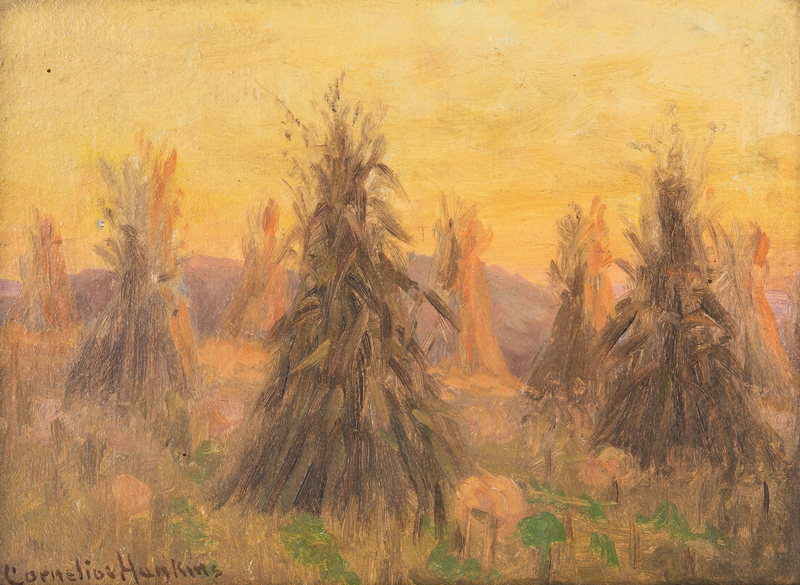 Cornelius Hankins (Mississippi/Tennessee, 1863-1946) oil on board landscape painting depicting a field of haystacks in the late afternoon, a mountain range in the background. 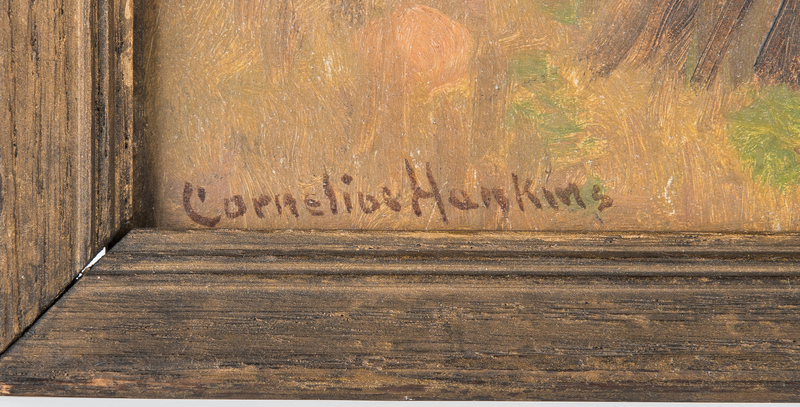 Signed "Cornelius Hankins" lower left. Housed in a wooden frame. 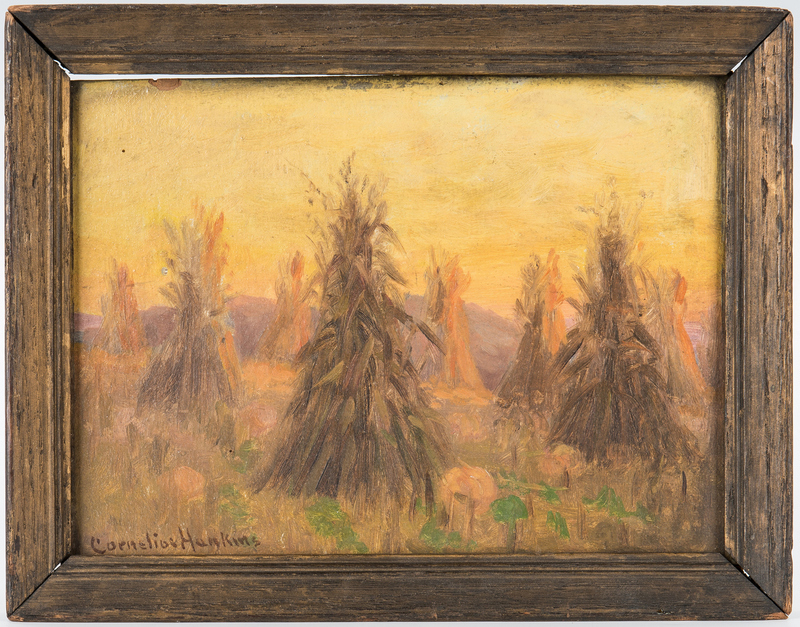 Sight – 6 3/8" H x 8 3/4" W. Framed – 8 1/4" H x 10 1/2" W. Early 20th century. 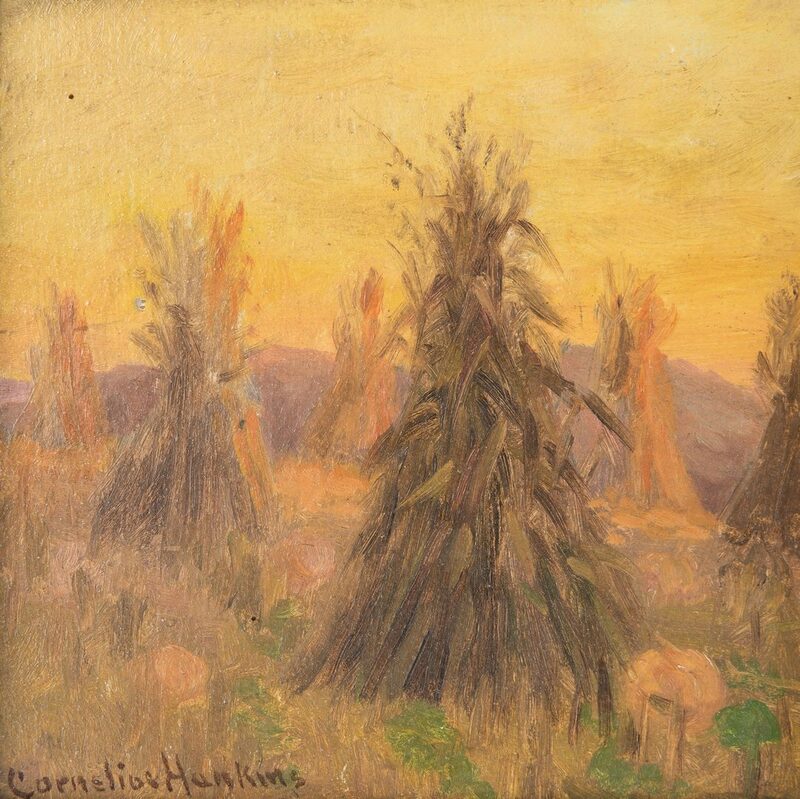 Note: Hankins studied with Robert Henri, leader of the Ashcan School, and with William Merritt Chase in New York. 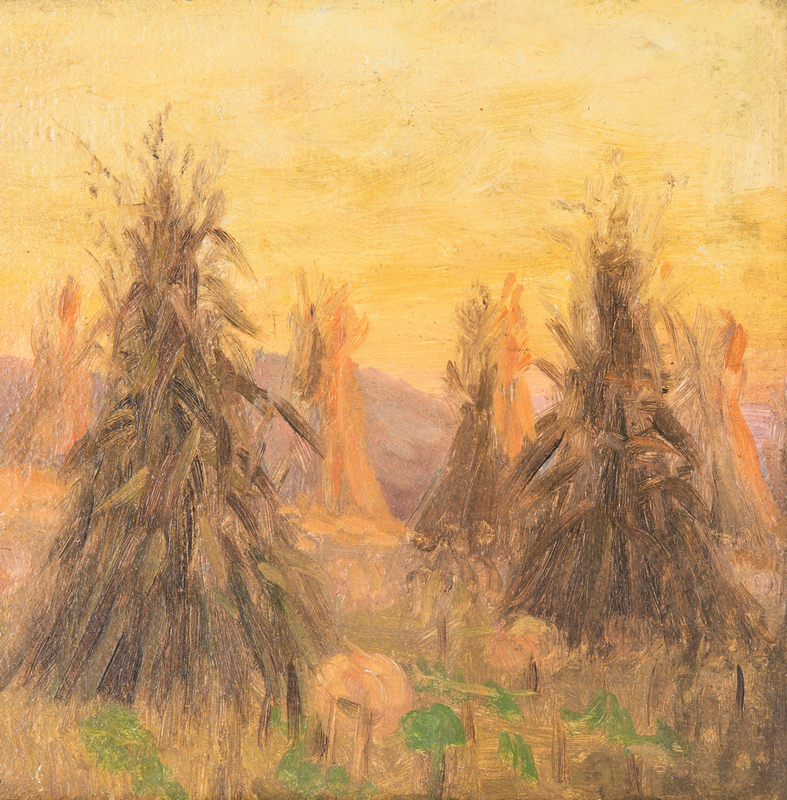 He was active for much of his career in the Nashville area. CONDITION: Overall good condition. Areas of paint flaking/rubbing across top edge of board. 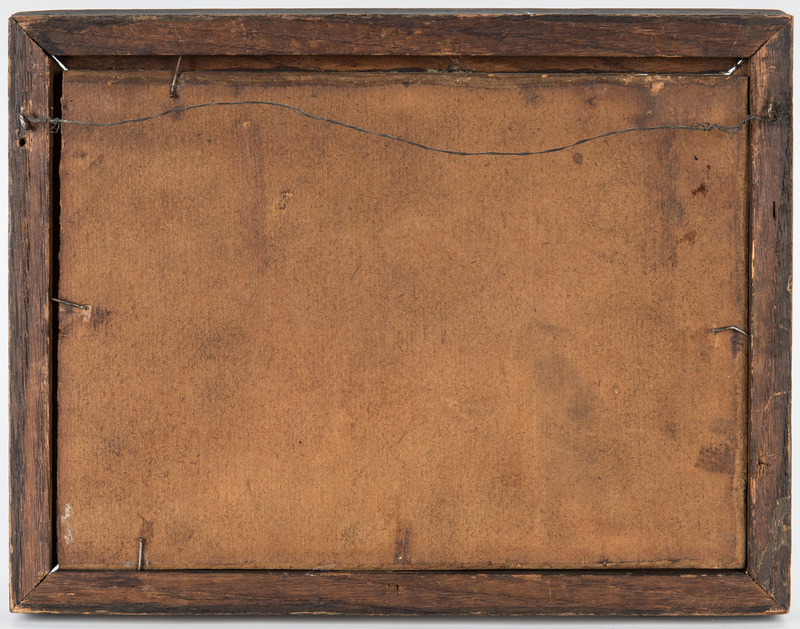 Board slightly loose from frame, top left. Small black inclusion upper left quadrant.